Today, businesses have a tougher hurdle than ever to get consumers to not only choose them (especially in a sea of evermore pervasive DTC businesses) but also trust them. But trust isn’t bought. It’s not the result of advertising. It’s earned in everything the consumer does. Trust is going to have to be a consideration throughout the entire consumer experience. Brands are going to need to consider far more than they’ve had to in the past. This means not only making sure products and services work as promised but also customer service won’t leave them hanging when things go south. It also means businesses will need to consider how much consumer data is too much and how the data that exists will be used. People have become awakened to the fact that their information can be used to target them. Marketers will need to determine where the line between novelty and creepy exists in communication. To that point, traditional trust-building tactics like third-party recommendations from influencers have even been called into question. Abuse, misleading statements and a lack of disclosure have sucked the trust out of what was once a reliable and well-intentioned tactic. Now, the conversation about the pros and cons of influencer marketing has moved beyond the business community to the consumer one thanks to documentaries about the Fyre Festival. Then there’s the final piece in the puzzle—operations. It’s no longer enough to talk a big game. Businesses have to back up everything they say because when it’s too good to be true, consumers are discovering, it probably is. Take Amazon’s employment practices. 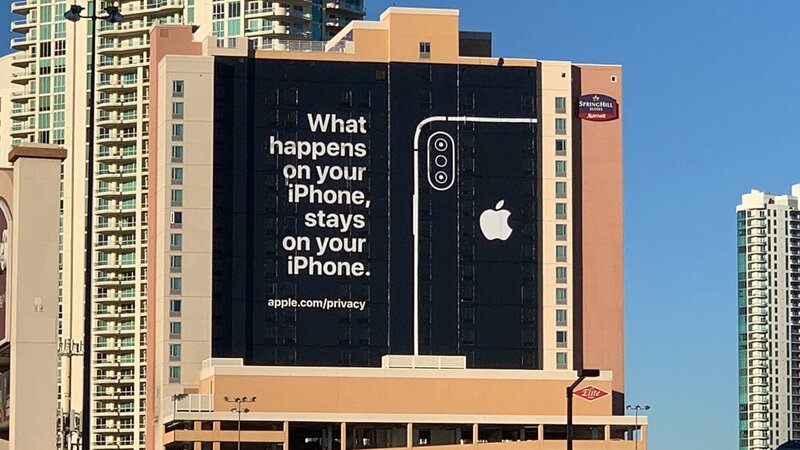 Or Apple’s FaceTime error immediately following CES when the company claimed to be the one tech company protecting user privacy. Things like this turn loyal customers into circumspect buyers. Time for a Trust Audit? Apple was onto something with its CES ad. Trust actually is a differentiator today, but brands need to do their homework before going all in. A complete audit of the organization from data practices to operations to employee treatment to customer service. Trust can be a powerful differentiator, but brands that go all-in on trust and betray it, have a deep hole to dig themselves out of, right Facebook?